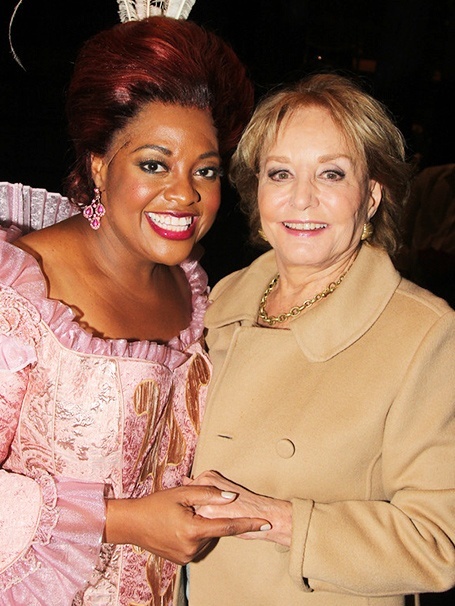 Cinderella star Sherri Shepherd and Barbara Walters reunite after co-hosting The View together. It was a lovely night at Broadway’s Cinderella on September 11! Barbara Walters stopped by to see her former The View co-host Sherri Shepherd and Keke Palmer—the stars recently made their Broadway debuts in the hit Rodgers and Hammerstein musical. The Real Housewives of Atlanta star Kandi Burruss and Ricky Paull Goldin also stopped backstage to congratulate Palmer and Shepherd. Click for photos from their visit to the Broadway Theatre!